For some folks, going to the circus hasn't really crossed their minds since they were six and got to gorge on cotton candy and sno-cones, while clowns avoided being mauled by lions. A sugar-fueled fantasy of bright lights and action, made all the better because they were six, and everything is awesome when you're six. There's no greater exhilaration than being able to experience something new, extraordinary or unexpected. But it can be hard to replicate that feeling. Once you get used to the tedium of a predictable schedule, it becomes easy to throw on the blinders and let your brain turn into a soup of meetings, quotas and deadlines. It's possible to derive joy from work, but making life nothing but work isn't exactly healthy. Kevin Venardos and his "little circus that could" have come to town to remind everyone that it's OK to sit back and enjoy life a little. Once a ringmaster for the famous Ringling Bros. and Barnum & Bailey's Greatest Show on Earth, in 2014 Venardos took his talent for entertaining and set out to start his own circus show. His tent is popping up in town from April 4-22. We were lucky enough to have a conversation with Venardos as he prepared to get the show rolling. 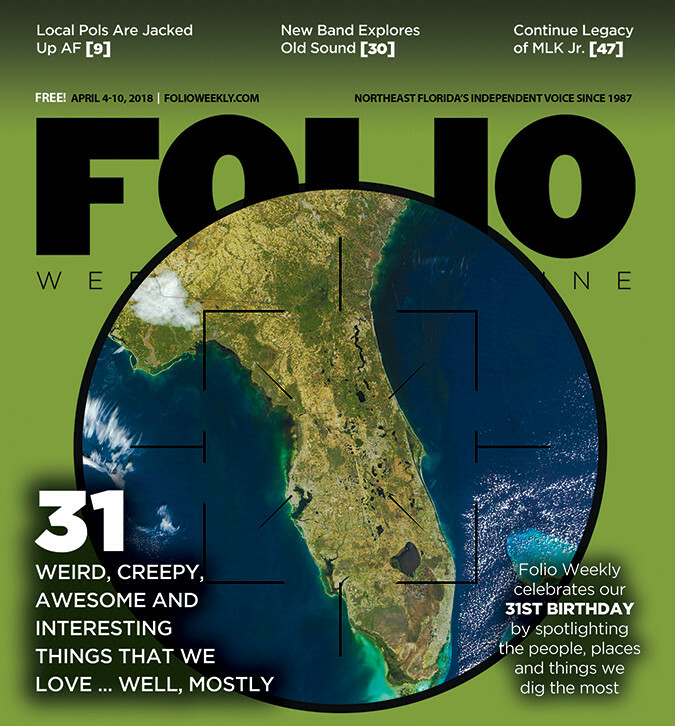 Folio Weekly: How did you get into the circus biz? Kevin Venardos: From an open-call audition in New York City in 2000; I got a job with Ringling Bros. and Barnum & Bailey Circus as a ringmaster. Out of the blue! Just a random audition when I was 22 and living in NYC trying to be a singing and dancing man. For some reason, they decided to pick me, which I was pretty happy about, and they just opened up this whole odyssey of adventure across the country, with 23 Brazilian dancing girls and 10 elephants and performers from all around the world. What's a day in life of a ringmaster look like? You have to be partly crazy and you also really have to love it. When I was a ringmaster for someone else's show, I was a performer, a paid actor in a way. After working for years with a company or community of people, you start to take a kind of ownership. You believe that it's true, that you're family. But, then there's the other side of the coin, where the contract is going to come to an end sooner or later. I'm there at the good graces of somebody else, a producer. So, after many years of living that way, I had this fire inside of me that just kept growing. I knew that if I was going to sustain a career doing what I love, without somebody else's say-so, I was going to have to start a company. So, being the ringmaster now, it's not just a theatrical title, I'm producing the shows, I'm writing the checks, I'm running the marketing, I'm booking the lots, and for sure, I'm just one part of a team. The part about wearing the hat and announcing, that's the gravy! That's the fun part, the easy part! Given the closing of the Ringling and Barnum Circus last year, what is the state of the American circus? There's kids being born every day! There's people who need magic and wonder. You think about the technology being more interesting than something that's live, [as] some people would assume. But look at what Steve Jobs said, by the time we spend all this time getting the newest thing ready and shipped out, people have already changed their minds and are off to the next thing. I think we do what we love and that there's people out there who want it. That's the challenge of it. This is a little secret I'm gonna let you in on here: The circus is a very analog thing. I inject and use technology to get people excited about the show with videos and interesting marketing, but it's timeless the magic that happens inside of that tent, it's absolutely timeless. And to the end of eternity, people, as long as they have blood pumping their hearts and veins, are gonna be feeling tingles and have their hair stand on end when they see these things happen live in front of them ... . I mean, don't get me wrong, I'm big supporter of embracing technology, but the batteries in those phones die eventually. Exposing people to the type of magic that happens in our tent is, I think, a kind of social service ... . I spent a lot of years when I was growing up worrying about what I wanted or needed, and wondering what I'm supposed to do on this Earth. Now I know what that is-it's to make people happy. It's to take them away from their troubles, even if it's just for a little while, and remind them, as different as we may appear, we actually have a lot in common. Has there been any opposition/criticism? Well, the word 'circus' brings to mind some polarizing issues that have become associated with it. For example, I don't happen to have any animals in my circus, but I love animals and I've worked around people who care deeply about them. But I also see both sides of the coin. Again, my most important factor in the equation is people. Even though my circus doesn't have any animals, quite often people will make strongly worded attacks saying that we abuse animals. And, of course, I find that funny because we don't have any animals. It goes along with the notion that we or anybody can be judged because we're different, just like the freaks in The Greatest Showman ... . I grew up skinny and wiry-framed with big, thick glasses, so I definitely know what it's like to be bullied and to be made to feel different. But, to be honest, when I mention to most people that I started a circus, people cannot help but smile. It's like the American Dream. Not the circus per se, but to dream up something so impossibly big. In that way, the circus is like opera. Opera is about life and death. It's not the story about the day nothing happened, it's about these people risking their necks in front you and, by that example, reminding you that all those challenges that you think can't face, you actually can ... . I like to keep that Dr. Seuss quote in mind, "Those who mind don't matter, and those who matter don't mind." When you're a kid and you're growing up in one school, in one small town, you think that this is all there is. And if you happen to be one of those kids who gets picked on, you might come to the conclusion that you're no good, or that there's no room in this world for your ideas, and that's so untrue. One of the gifts that the circus gave me was being able to go around to all these different cities and meet different communities. No matter if one engagement or show went bad, there's the next city. I could just leave behind the stuff that didn't work and move forward from there. You realize, over a period of time, that the world is enormous. There's billions of people and at least half of them love you already, you don't have to convince them, they already love you. And then there's the other half who're never gonna love you no matter what you do. So you might as well keep being yourself and doing the thing you love. You'll attract the people you were meant to be with all along."